Where Can I Spread Bet on Schneider? Where Can I Access Live Prices for the Schneider Market? Where Can I Get Live Charts for the Schneider Market? Where Can I Practice Trading Schneider? A FinancialSpreads account offers clients a range of equity markets like Schneider, AstraZeneca, General Electric and Volkswagen, plus a broad selection of other global equities. 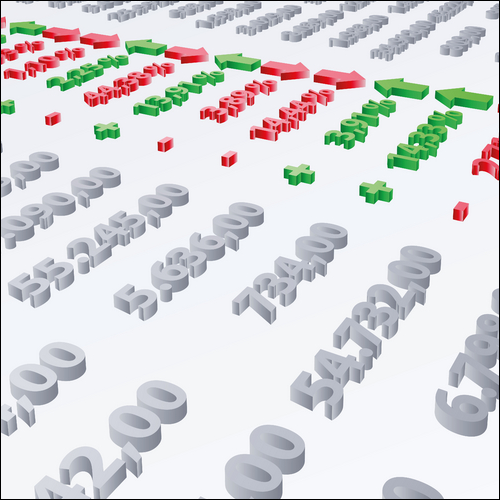 FinancialSpreads offers real-time pricing on 1,000+ spread betting and CFD markets such as Schneider and a large variety of other equities, stock market indices, currencies and commodities markets. Where Can I Get Live Schneider Charts? When trading with Financial Spreads you can make use of professional level charts for Schneider and more than a thousand other markets. This is a brief example of how the market works. This is a Rolling trade which means that there is no final closing date for this trade. If you don't close your position and the session ends then your position will automatically roll over into the next trading session. Note: if the trade is rolled over then you will either pay or receive interest for overnight financing based upon whether you are betting on the market to increase or decrease. For more details also see Rolling Spread Betting. Units Traded Trades on the Schneider market are made in £x per cent price movement. E.g. if Schneider moves by 45.0c then you would lose or gain 45 multiples of your stake. Stake Size You work out what to risk per cent, e.g. £1 per cent, £4 per cent, £15 per cent etc. Quick Staking Example As an example, if you decided on a stake of £5 per cent and Schneider changes by 29.0c, you would win/lose £5 per cent x 29.0c = £145. Lock in Your Profit? You may opt to keep your spread bet open or close it in order to take your profit. In this instance you choose to close your bet and sell at 7037.5c. Close and Limit Your Loss? You may decide to let your position run or close it in order to limit your loss. In this instance you decide to settle your trade by selling at 6957.0c. Time to Take a Profit? At this point, you can decide to keep your trade open or close it, i.e. close your position for a profit. For this example, you choose to settle your trade and buy the market at 6939.8c. Restrict the Loss? You could decide to leave your bet open or close it, i.e. close your position to limit your loss. For this example, you choose to close your bet and buy at 7028.1c. Where Can I Practice Financial Spread Betting on Schneider? 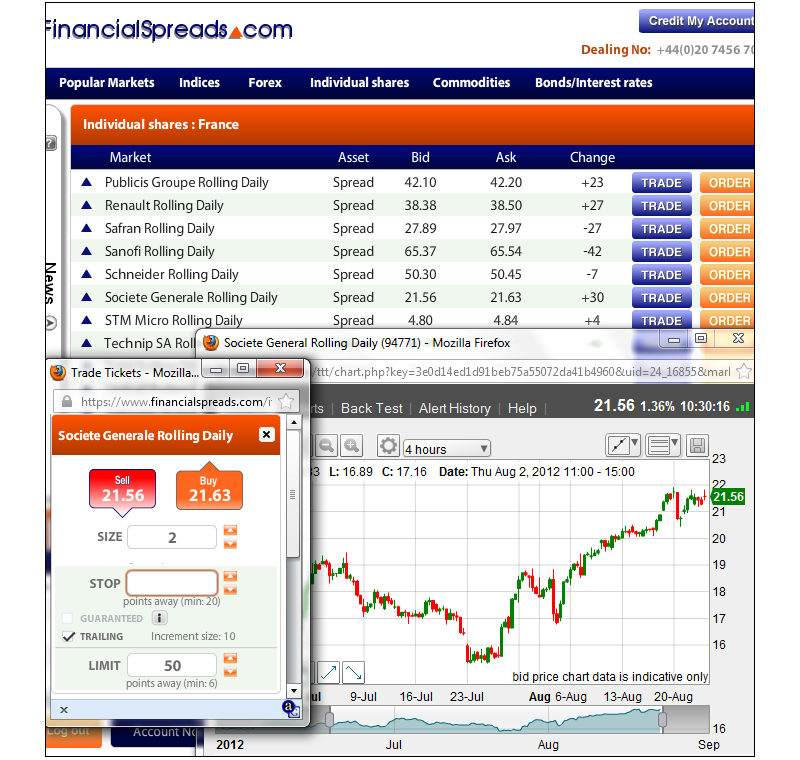 FinancialSpreads offers a Demo Account which allows investors to test new trading strategies, review the live charts, practice with trading orders and practice trading on spread trading and CFD markets like Schneider. The Demo Account offers access to a wide range of markets such as stocks, index markets, commodities and exchange rates. A guide to spread betting on Total shares, where to get live Total share prices and charts, how to spread bet on the French company to rise or fall and...» read more. A guide to spread betting on BNP Paribas shares, where to get live BNP Paribas share prices and charts, how to spread bet on the French company to rise or fall and...» read more. A guide to spread betting on Air Liquide shares, where to get live Air Liquide share prices and charts, how to spread bet on the French company to rise or fall and...» read more. A guide to spread betting on AXA shares, where to get live AXA share prices and charts, how to spread bet on the French company to rise or fall and...» read more. A guide to spread betting on Carrefour shares, where to get live Carrefour share prices and charts, how to spread bet on the French company to rise or fall and...» read more. A guide to spread betting on Danone shares, where to get live Danone share prices and charts, how to spread bet on the French company to rise or fall and...» read more. A guide to spread betting on Essilor shares, where to get live Essilor share prices and charts, how to spread bet on the French company to rise or fall and...» read more.